There are so many layers and dimensions to the world of tiles that it’s hard to know where to begin and where to end. To make a long story short, I would like to zoom in on the subject of borders and listellos in this post. 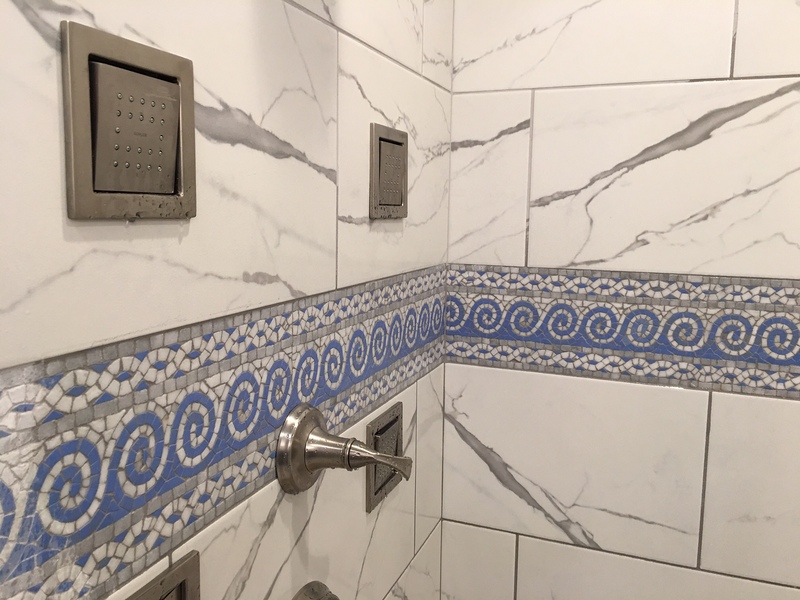 For those who don’t know, even tiles can be enhanced with additional adornment and patterns, borders and listellos being one way of adding this decorative touch. Borders and listellos are edge patterns made of ceramic, glass, porcelain, marble, and travertine, among others. 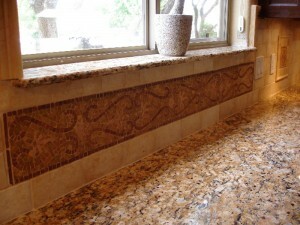 They come to dress up mosaic tiles and give a custom feel in any living space you decide to spruce up. “Listello”, the Italian word for decorative border, is used to refer specifically to prefabricated or patterned borders, made with stone, ceramic, or metal. 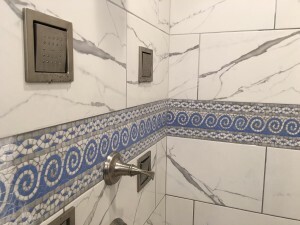 In general, tile designs look more lively and elegant when associated with a subtle hint of pattern or color or decorative edges. With a wide array of motifs and combinations of colors and patterns available today, spanning from classic to vintage, contemporary, and retro, there is no chance you won’t find the right look for your space. Different colors and styles apply to different living areas, indoor or outdoor, and you’ll have to choose which goes best with the theme or style of your interior architecture. 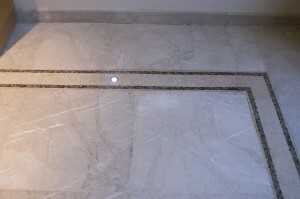 In bathrooms, borders and listellos can be placed on the wall, on the top edge of the bathtub or around the shower enclosure. Their designs are usually fresh and playful, but always matching the colors and style of the bathroom. 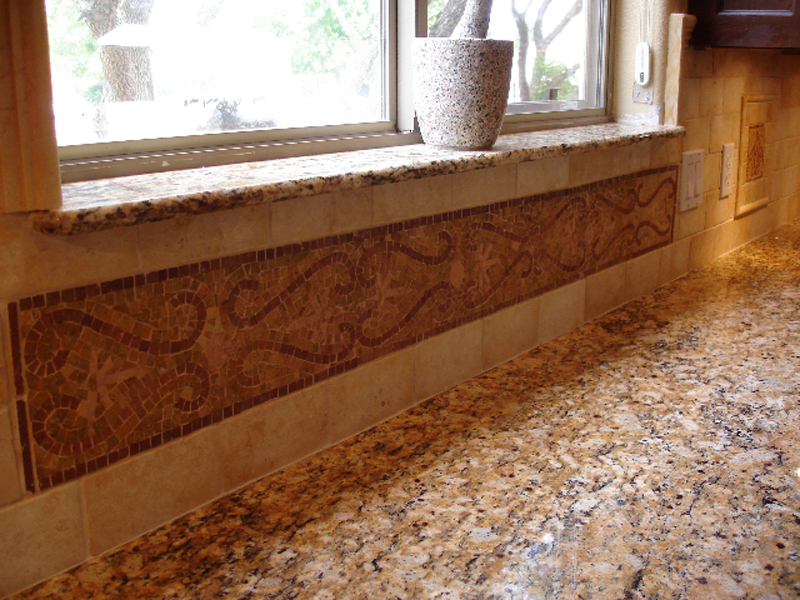 In kitchens, border tiles can make a nice frame for backsplashes or wall murals, behind the stove or on the kitchen walls. Border tiles can also be used to frame the opening of a fireplace or add an elegant touch to living rooms. With an endless range of materials and colors, borders and listellos can enhance any space you have, magnifying the sharp look of your modern interiors or adding timeless beauty to your classic or antique style.